If you are providing care for a loved one with Alzheimer’s disease, you have probably found yourself overwhelmed with the many demanding responsibilities. After all, you are carrying a heavy emotional burden on your shoulders. Perhaps you are telling yourself that you can cope; that you have everything under control. But do you? According to the National Alliance for Caregiving, over half of family caregivers interviewed said their health has gotten worse and has impacted their ability to provide loving care. 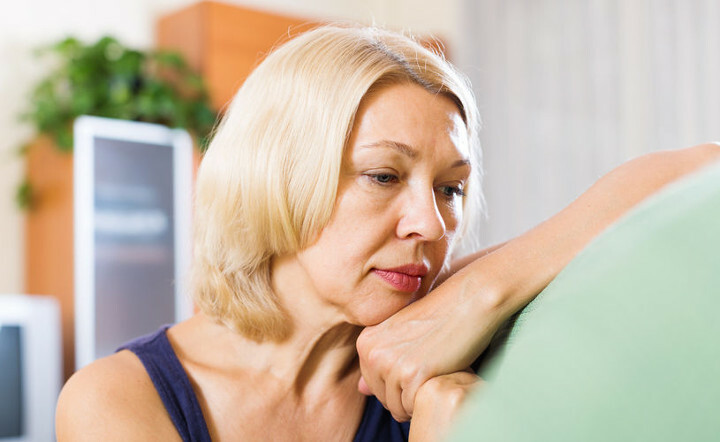 A study called Assessment of Family Caregivers found that 40-70% of family caregivers exhibited significant symptoms of depression. And, almost half of them met the diagnostic criteria for major depression! It is so important to be aware of the symptoms of burn-out so that you can take action before they take control of you. Experts, including the Alzheimer’s Association, have identified ten warning signs of caregiver burn-out. Ask yourself: How many of these am I experiencing? Denial that the person you are caring for has dementia. You believe you can make him or her better. Anger at the individual you are caring for not being able to function as they used to. Anxiety, as the need for more intense care increases. How long will you be able to cope? Withdrawal from family and friends. A lack of desire to connect. Irritability, as things that never used to bother you, begin to. Sleeplessness, due to worry about loved one’s safety during the night. Inability to concentrate on daily chores and tasks. Forgetting appointments. Physical and mental exhaustion as it becomes more difficult to get through each day. Depression, as you lose your will to cope. You may even have a sense of despair. Health issues, as you become more prone to chronic ailments and illnesses. Remember that, when your health and well being is compromised, you are less able to care for your loved one. Your relationship with him or her may lose any semblance of what it once was. Moments of calmness become less frequent. Arguments increase. That is why it’s time to break the unhealthy circuit before you end up with a serious mental and/or physical illness. Fortunately, there are ways to treat burn-out and plenty of resources to help. Dementia support groups provide a great release in a safe environment, among sympathetic people who can empathize with what you’re going through. Short term respite stay communities, such as Anthem Memory Care, welcome your loved one for a week or more and give you time to take care of yourself and re-charge your energy. Caregiver burn-out is real. It’s not all in your head. Left untreated, it can have a major negative impact on your health and your relationships. Take time to take care of yourself. Both you and your loved ones will be glad you did.